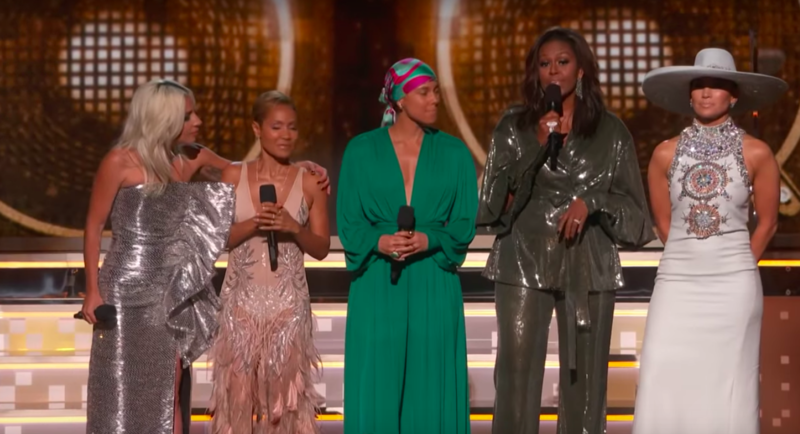 Michelle Obama shocked fans when she made a surprise appearance on-stage at the Grammys last night, alongside some of the biggest women in music. 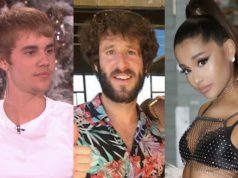 The former first lady surprised the audience when she walked onto the stage with Lady Gaga, Jennifer Lopez and Jada Pinkett Smith, while Alicia Keys welcomed them. “From the Motown records I wore out on the South Side…” she began, before the crowd erupted into applause and cheering. “All right you all, all right, we got a show to do! From the Motown records I wore out on the South Side, to the ‘who run the world’ songs that fuelled me through this last decade, music has always helped me tell my story. And I know that’s true for everybody here,” Michelle continued. “Music shows us that all of it matters, every story within every voice, every note within every song — is that right ladies?” she continued. Michelle also shared one of the best snaps from the night, alongside the stars who joined her on-stage, and captioned it: “A big part of friendship is showing up for your girls—that’s why I was thrilled to be there for the one and only @aliciakeys at the #GRAMMYs”.